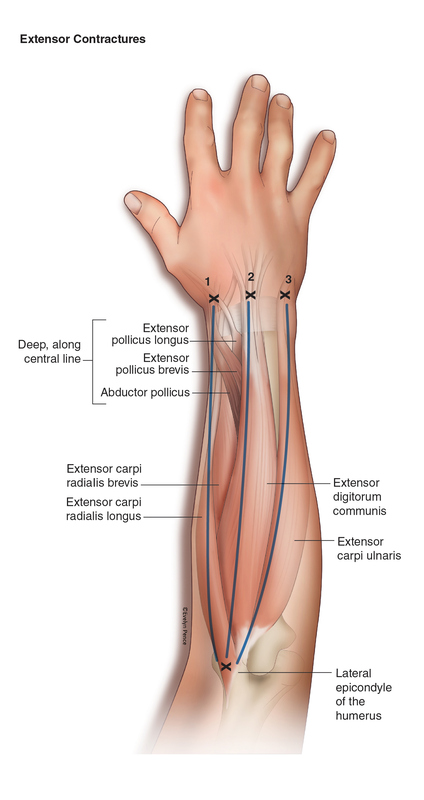 Illustration to show anatomic landmarks for the targeted injection of Botox to correct contractures and spasticity of the upper extremity (hand and forearm). 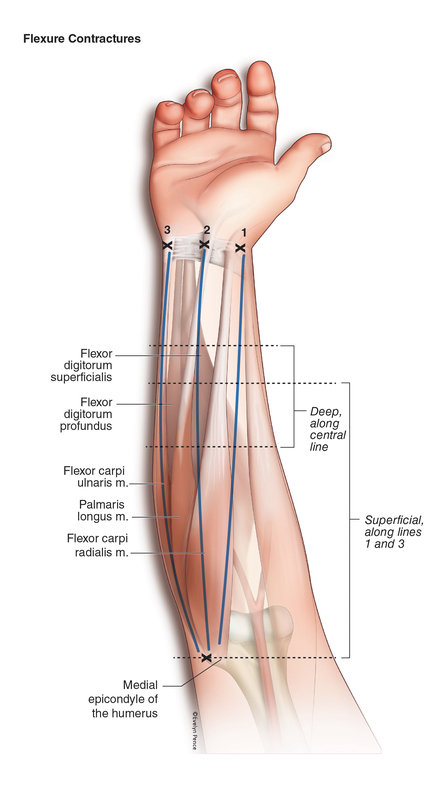 Illustration to show anatomic landmarks for the targeted injection of botox to correct contacture and spasitcity. Rendered for a scientific journal.